I think most people like to have their own individual dessert. Like children in the play room, in the end, none of us really like to share. 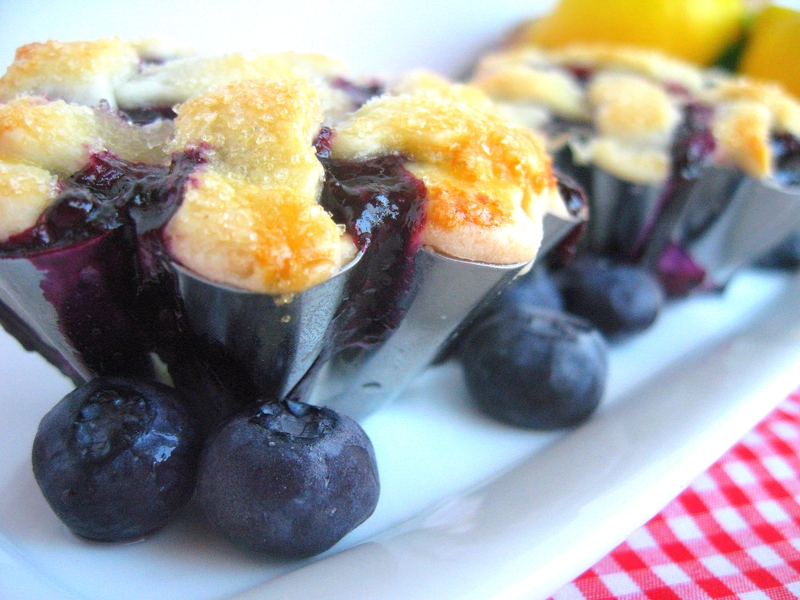 These individual mini blueberry pies fit the bill nicely. 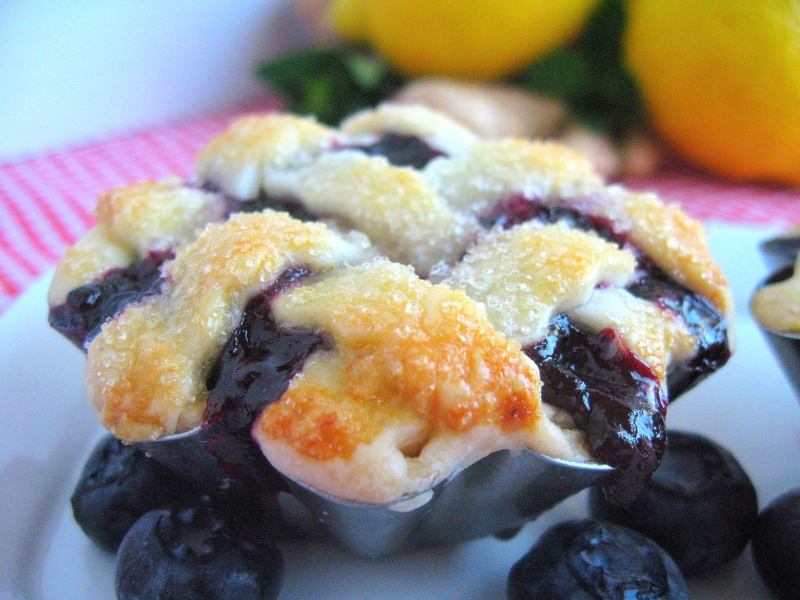 Here I use mini brioche molds as little, fluted pie pans. 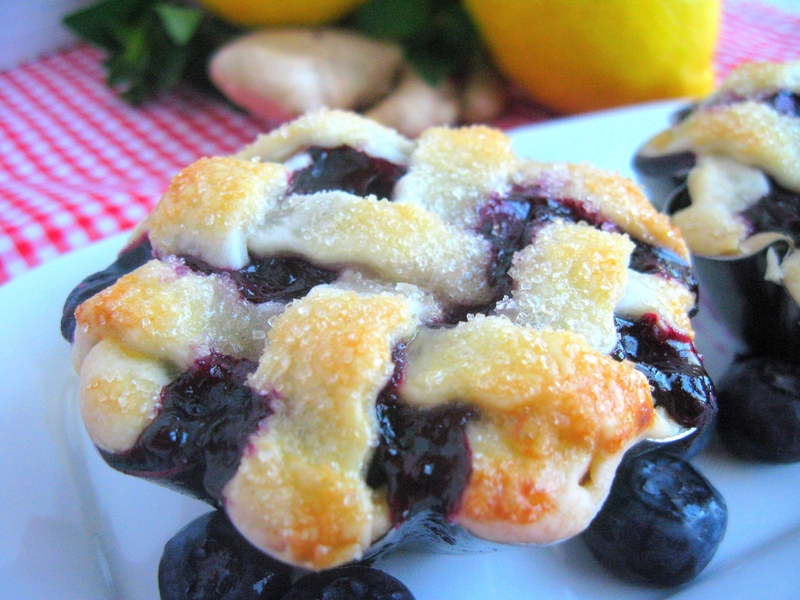 I simply used my favorite no fail pie dough, and the filling is made with fresh blueberries, sugar, fresh grated ginger root, the zest and juice of one lemon, some freshly grated nutmeg, and a little corn starch. 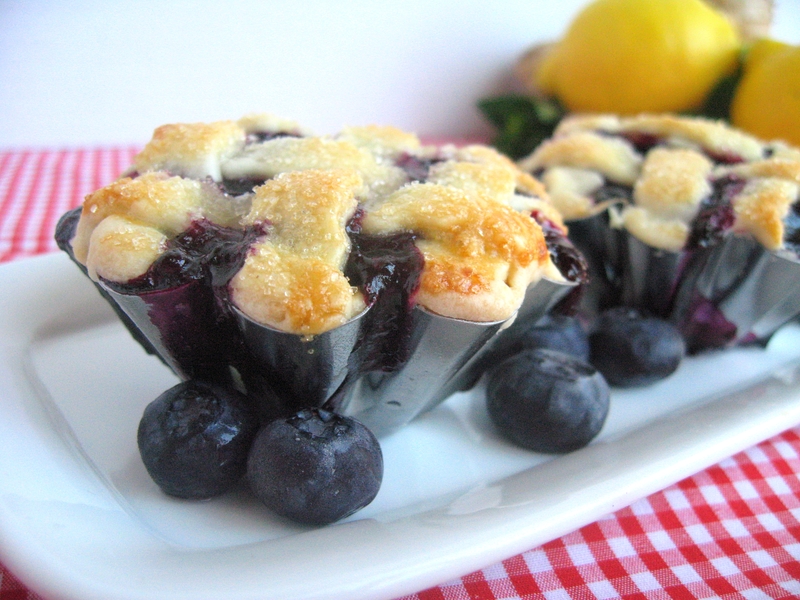 Each is topped with a tiny lattice crust, brushed with an egg wash, and sprinkled with a little granulated sugar. These are delicious served with vanilla bean ice cream for dessert after dinner, or as an afternoon treat with tea. Enjoy! I have this fantasy of eating an entire pie by myself. Mini pies make that fantasy totally doable! These look fantastic! I adore mini desserts and this looks particularly moist and tasty. Your mini lattice top is perfect! Those are darling! I have a long-standing policy about not sharing my dessert. That goes against the grain of many of my fellow RDs, who only want “a fork full” (at least when eating dessert in front of other RDs). I think this dessert fits the bill for them as well. These look like the perfect little bites. I love the colour and the shape. Really gorgeous!